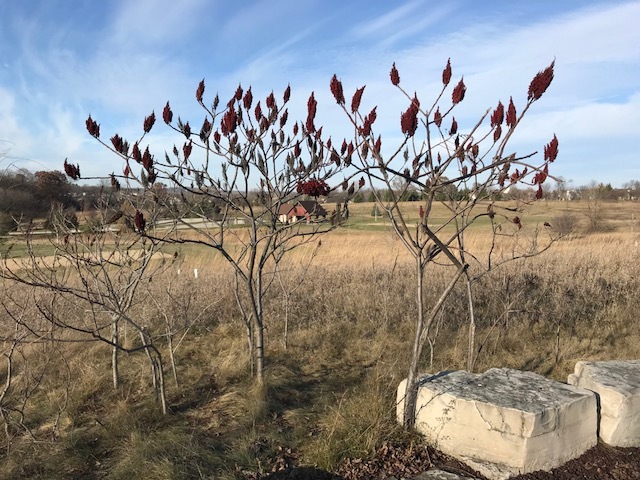 Located along the Fox River and one of eight parks in the Waukesha County Parks system, Fox River Park is a true gem! 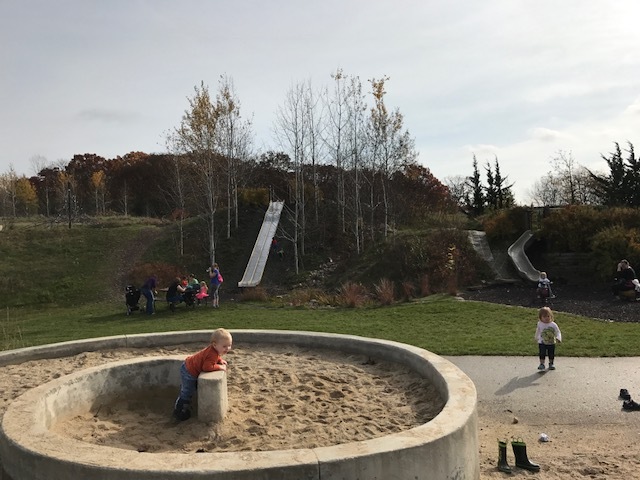 It’s unique natural playground built into a hillside in the park is one-of-a-kind in this area. 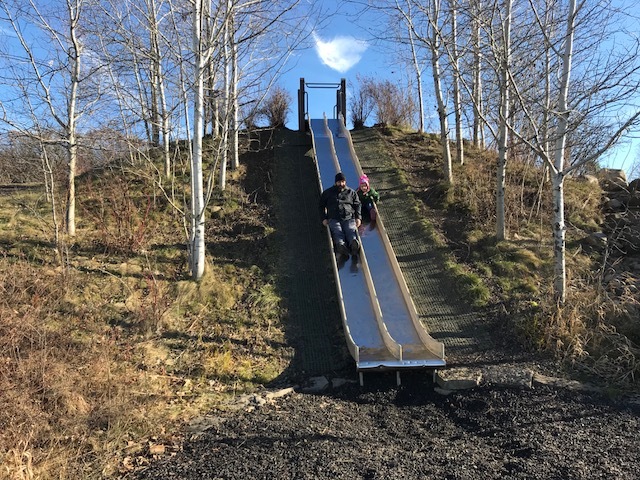 Visitors say the slide alone is worth a trip here! 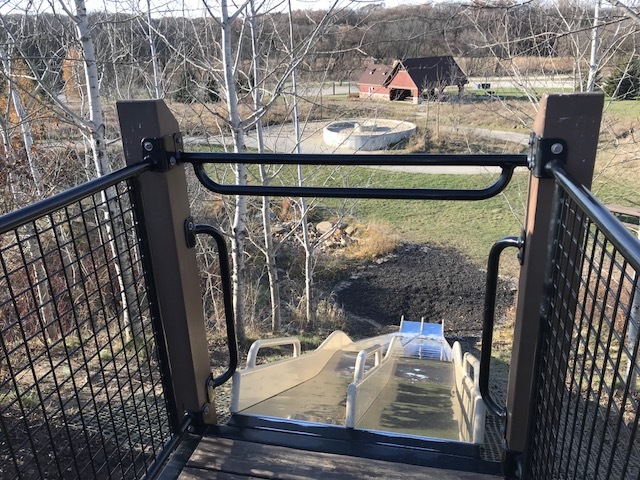 In addition to slides, sand and excellent climbing and play equipment, this park offers 3 wooded trails under two miles each and over two miles of paved trail for stroller hikes throughout the park. The open area around the playground is the perfect way to spend a sunny day! We’ve found that the wooded areas get very buggy during mosquitoe season, so consider yourself warned if you’re entering these woods when bugs are bad. The playground is more open and not so bad. There are a few ways to approach hikes here- 1. Start from lower parking and hike to playground then hike back 2. Start from lower parking and follow paved path along the river (eventually leads to another small park in the area, with a bathroom) 3. Park by nature playground and hike around from there- but if you’re kids see the play area it may be hard to leave!